"Furthering mutual understanding between citizens, whose diverse linguistic and cultural traditions are a source of mutual enrichment." How can the Council of Europe's guidance on plurilingual education be put into practice to embrace the full range of languages spoken in Europe? Languages not traditionally taught, or involving only small, scattered groups are nevertheless an important resource and there is much to learn from good practice around Europe that may help us overcome perceived barriers and take forward our thinking. The training of teachers of Kashubian in Poland, the provision of bilingual education for Bulgarian speakers in Hungary, and the development of qualifications for languages such as Somali in the UK, are just some of the examples that the VALEUR project has brought together in considering how all languages present in Europe can be valued in our education systems, which increasingly need to cater for ever more diverse needs. The work of the VALEUR project is about to come to fruition with the publication of an awareness-raising leaflet, backed up with a full report and web-based material. Most importantly, it has also created the beginnings of a network which will take forward a truly inclusive focus on valuing all languages spoken in Europe, from Abron (a language of Ghana and the Ivory Coast present in Spain and Ireland) to Zulu (reported in Finland, Ireland, Netherlands, Poland and the UK). Activity needs to continue on a number of different fronts: through research, through new projects designed specifically to support teachers, through awareness-raising and the development of tools such as the European Language Portfolio. Co-operation across borders, across languages and across groups of languages will be essential. The data-collection phase of the VALEUR project is now virtually complete. Twenty-two countries have provided statistics on the number of languages in use, and on the types of provision available for them. The results reveal the true extent of multilingualism in Europe: 458 languages have already been identified and this number is rising all the time as countries like Ireland report increases even in the past 6 months. How can there be so many languages present in our society when most members of the general public would be hard-pressed to name more than a handful? The reason is that many of these languages are effectively invisible. They include new migrant languages, as well as those of more established immigrant communities; those with the status of regional or minority languages in various countries, and at least 18 different sign languages. Although there is good provision for some languages in some countries, for the majority there is little consideration given to their importance for the individuals who speak them or for the potential value to the wider society. Yet nine of these languages are spoken by over 100 million people worldwide: Arabic, Bengali, English, Hindi, Japanese, Mandarin Chinese, Portuguese, Russian and Spanish. As many as sixty-five languages are spoken by over 10 million people across the globe and twenty-four can be considered endangered languages with fewer than 1000 speakers. They are all important in different ways. The VALEUR team, together with a research fellow based at the ECML in Graz, has more data to verify, but so far the UK appears to be the most linguistically diverse nation, reporting 288 languages in use. More surprisingly, Spain and Ireland, countries which up until very recently were not regarded as countries of immigration, report 198 and 158 languages respectively. The most widespread language (ie found in the most number of countries) is so far Polish (appearing in17 of out the 22 countries), followed by German, French, Arabic and Russian. These findings will have important implications for planning and for European co-operation. 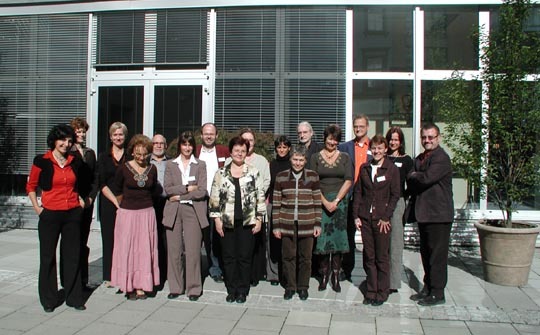 Network participants who met in Graz on 6-7 October 2006 discussed how to disseminate the data collected in order to develop thinking on how best to capture the potential of this 'hidden plurilingualism'. As European citizens become increasingly mobile, and the continent continues to attract newcomers from across the globe, (languages from every inhabited continent are already present) linguistic diversity is likely to develop further. It is more evident than ever that there is a need to build on children's existing plurilingualism as well to help them to acquire new languages, and that the one needs to be done in a way which supports the other. What impact will this have on the formulation 'mother tongue plus two' as an objective for language education in Europe? Participants foresaw a need to review this objective, and to recognise that many children arriving in school have already been exposed to rich and diverse linguistic experiences, not necessarily a single 'mother tongue'. Once we understand the true extent of multilingualism in Europe, we can start to develop it as a precious resource with the potential to benefit us all. Along with other topics related to languages, BBC Languages E-Mail Club Newsletter 51 raised once again the issue about the multilingual landscape in Europe. For details see below an excerpt from the Newsletter. The VALEUR project (www.ecml.at/mtp2/valeur) has now produced a draft 'map' of all the languages spoken in the 22 countries represented and the educational provision available for them. The picture emerging is one of a very large number of languages in use across Europe (at least 438), but of educational provision for only a small proportion of these. The aim is to raise awareness about these 'invisible' languages and their contribution to multilingual Europe. The project will produce multilingual material presenting the findings and recommendations in an accessible form, as well as a publication. The VALEUR project has now produced a draft ‘map’ of all the languages spoken in the 22 countries represented and the educational provision available for them. The picture emerging is one of a very large number of languages in use across Europe (at least 438), but of educational provision for only a small proportion of these. The aim of the project is to raise awareness about these ‘invisible’ languages and their contribution to multilingual Europe. The next stage will be to classify the languages and identify typologies of provision in order to draw out the most significant information which can take forward our understanding. In common with other more general sociological research, our survey has uncovered not only diversity, but ‘superdiversity’: not only do we have a very large number of languages, but also considerable variety in the place these occupy in peoples’ lives and in the plurilingual repertoires of the individuals who speak them. Not all will be spoken as mother tongues, and they will combine with national languages, with ‘foreign’ languages learnt in schools and with other languages known and taught, in different ways. There are great challenges but also great opportunities in responding to this linguistic ‘superdiversity’. As language educators we need to respond to increasing multilingualism in our society and find new approaches in order to build on the resource which these languages represent. The changes we are identifying affect all European states – particularly those that experience high levels of immigration and mobility - and relate both to elites and to less advantaged groups in our society. Our aspiration to give greater value to all languages in Europe goes beyond the lifecycle of the project and at our team meeting we gave considerable thought to dissemination and to the possibility of creating a broad-based network to take this work forward. The project will produce multilingual material presenting our findings and recommendations in an accessible form, as well as a classic ECML-style publication. At least 365 languages are spoken in Europe today - an extraordinary richness and diversity which contributes to our society's intellectual wealth. However, provision to learn and develop higher-level proficiency in these languages varies widely from country to country and from language to language. These were the findings from the first stage of the VALEUR (Valuing All Languages in Europe) project, which draws together 22 countries from Iceland to Armenia. The project aims to develop a shared perspective on the issue of 'community languages', defined as 'all the languages currently in use in a society other than the official languages'. This includes regional and minority languages, 'migrant' languages, sign languages and 'non-territorial' languages such as Romani. 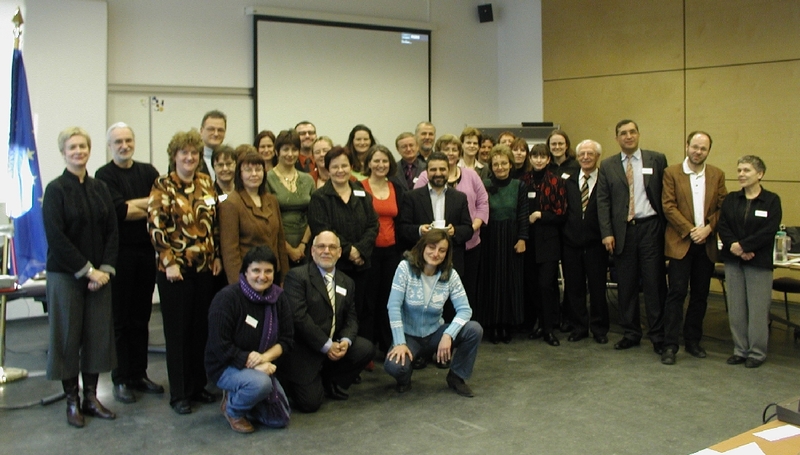 Participants from the member countries who met in Graz on 8-11 March 2006 agreed to co-operate in raising awareness of the value of all languages, both to individuals and the wider society, and to share information designed to encourage the development of provision. This information will cover the range of languages present in each country (the figure of 365 was gleaned from just 15 countries whose information the team had been able to analyse so far), policies and good practices in provision. There will be a particular focus on sharing models of good practice with a wider audience. It was agreed that the main focus should be on migrant languages, since this is a new issue for many countries, and one which is increasingly on the agenda as mobility increases both within Europe and globally. There is relatively little support available for these languages either in terms of legal provision (migrant languages are not included in the Council of Europe's Charter on Regional and Minority Languages), or in terms of support structures (associations, networks, institutions). At its follow up meeting in October, the project will look specifically at how the Common European Framework and the European Language Portfolio can support these languages. See also Valeur Workshop report. 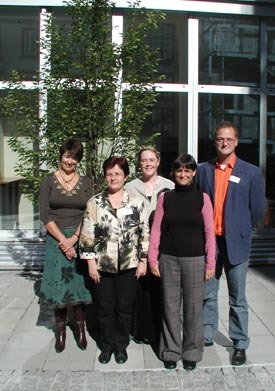 The VALEUR team met in Graz on 17-18 June 2005 to plan the events for the Central Workshop to be held in spring 2006. The team discussed the timescale for selection of national representatives and the support materials to aid the selection. The pre-workshop tasks as well as the preliminary schedule and contents for the workshop were drafted. The team revised the project description and made an attempt to draft a profile of the ECML fellow to work on the project between the workshop and the network meeting. In addition, publicity matters (a leaflet, press releases) and the use of the website were discussed. It was agreed that a collection of national and Europe-wide policy and discussion documents relating to community languages would be gathered on the website to support the work of the team and the national representatives. During the meeting, team members gave presentations on their activities over the year and on issues of relevance to the project. These included the work done in the Language Policy Division, the use of European Language Portfolio with community language learners, England's "Language Ladder", UK survey of provision for community languages, the Eurydice study on integrating immigrant children into schools in Europe and the EUMC report on migrants, minorities and education. There was a brief discussion of the conferences where the project had been presented over the year and of the response the papers had received. It was agreed that the presentation slides from each paper would be uploaded onto the VALEUR website. Future developments and proposals were also discussed, including the establishment of a European community language (e-)network, a project focusing on the promotion and dissemination of good practices, and a teacher training initiative. It was agreed that these proposals would be discussed further at the Expert meeting of June 2006. 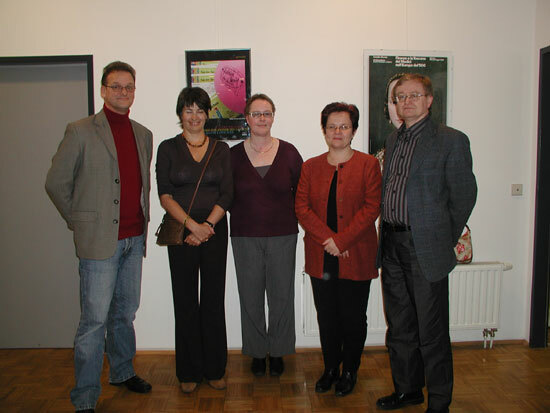 The first meeting of the VALEUR project team was held at Graz on May 14th - 15th 2004. Terminology: Since our project is mainly focused on the provision of minority languages teaching, discussion focused on the different terminology used across Europe to refer to these languages, as this was considered crucial for our purposes. Our first task was to identify the most suitable terms to refer to languages other than the official ones in use in the different states of Europe. Finally we decided that the term 'community languages' was the one which best fitted in with the nature of our research. Other terms to help us to find a 'common language' among members of the team were also discussed during the meeting: 'formal' and 'informal' provision; 'multilingual' and 'plurilingual' and discussion about definition of what 'good practice' means for this project. Information gathering: As our project is concerned with influencing practice developed across Europe to better implement provision for community languages, our discussion also focused on the possibilities we had for contacting and requesting information on languages from national representatives. Project planning: We spent part of the time we were in Graz sharing out the collective and individual work to be developed between this meeting and the next one, to be held on June 2005. Dissemination: An important part of our time together focused on dissemination of our findings. In this respect two main approaches were established. The first involved planning presentations of our work as a team at different international conferences with a focus on community languages. In July 2004, some members of VALEUR team will be presenting a jointly authored paper at a conference on Languages and the Future of Europe: Ideologies, Policies and Practice, to be held in Southampton. This paper will deal with the status of community language teaching in our countries: United Kingdom, The Netherlands, Finland, Poland and Spain. Other relevant conferences taking place in 2005 were also identified and it was agreed to submit proposals to each of these. The second approach related to the final report. A focus on the format helped us to identify key areas we would like to address at the end of the project.